Baby teether soft toy and bear comforter for boys in baby blue. 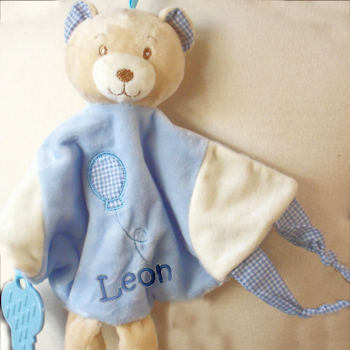 Baby teether soft toy and bear comforter for boys in baby blue. Teddy bear with soft velour comforter middle and stimulating tactile knots one end and a teething toy the other end. Approx 25cm in size. Baby teether soft toy and bear comforter for boys in baby blue. Teddy bear with soft velour comforter middle and stimulating tactile knots one end and a teething toy the other end. Approx 25cm in size. Handy for a comforting travel toy or pram toy. 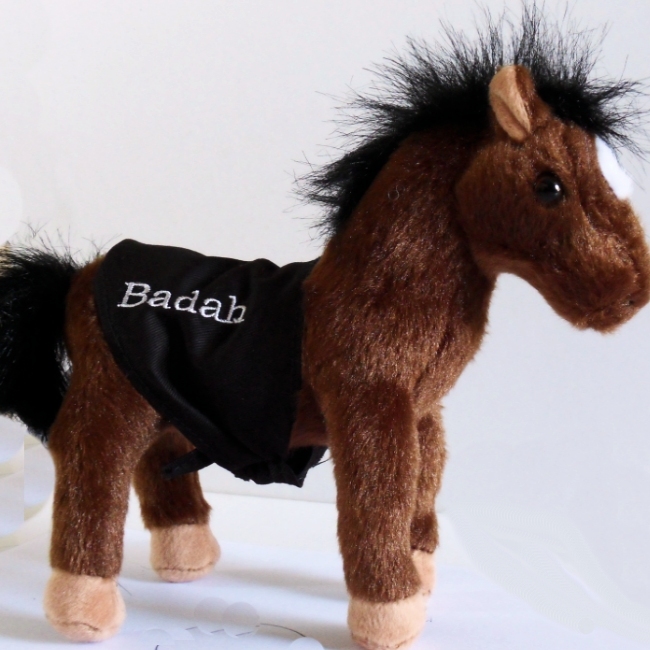 Personalised with babies name embroidered on the blankie section for a special little gift.